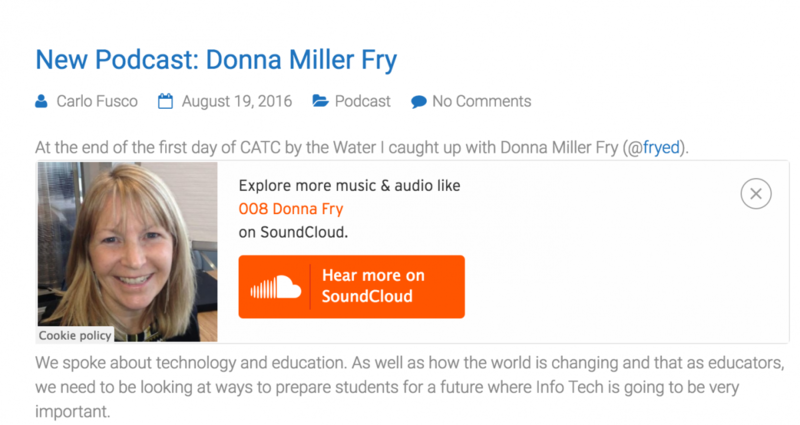 Podcasts have been a primary source of professional learning for me for many years. I have always wanted to use this tool, and this week, I found two teachers in WRDSB who use podcasting regularly. Karen Blaak uses podcast conversations with her father to set the themes for her online English 3U course. The personal narrative and vulnerable stance appeals to students. Carlo Fusco openly shares his process of capturing voices of the people he learns with. Both of these talented and dedicated educators inspire me to really think about how I can more effectively use podcasting in my work. My podcast with Carlo can be found here. Mental Health as a Priority: What’s Digital Identity Got to Do With It?